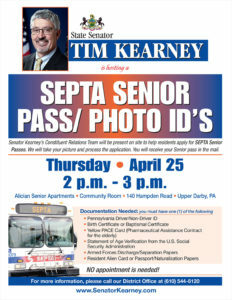 Senator Kearney’s Constituent Relations Team will be present on site to help residents apply for SEPTA Senior Passes. We will take your picture and process the application. You will receive your Senior pass in the mail. For more information, please call our District Office at (610) 544-6120. 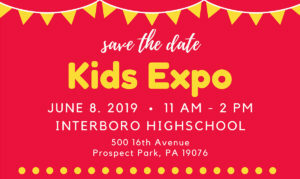 We are excited to announce that the 2019 Delaware County Family and Kids Expo will take place on Saturday, June 8, 2019 from 11 a.m. until 2 p.m. at Interboro High School. This will be a day for us to celebrate the beginning of the summer season in the community that we care for so very much.